Fantastic option for self managing landlords! 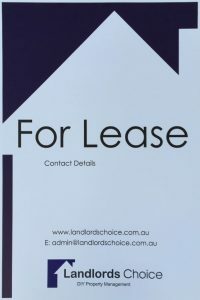 Add a professional touch to your property by displaying a Landlords Choice 600 x 900mm corflute For Lease sign. You can customise the sign with your contact name and number. All you need is a waterproof marker and somewhere to attach the sign to, like a post, fence or wall. The residential tenancy check validates the identity of tenancy applicants using Veda’s Identity Verification solution and screens them against the National Tenancy Database bad-tenant blacklist. A property brochure is great marketing collateral, print them off and hand them out at the open inspection to prospective tenants. Stand out above Standard ads while increasing exposure and engagement with your property. Pricing for this upgrade varies depending on the suburb, so please e-mail for a quote. An attention-grabbing design and larger photos ensure your property is more visible, while receiving priority positioning above all Feature Property and Standard ads. 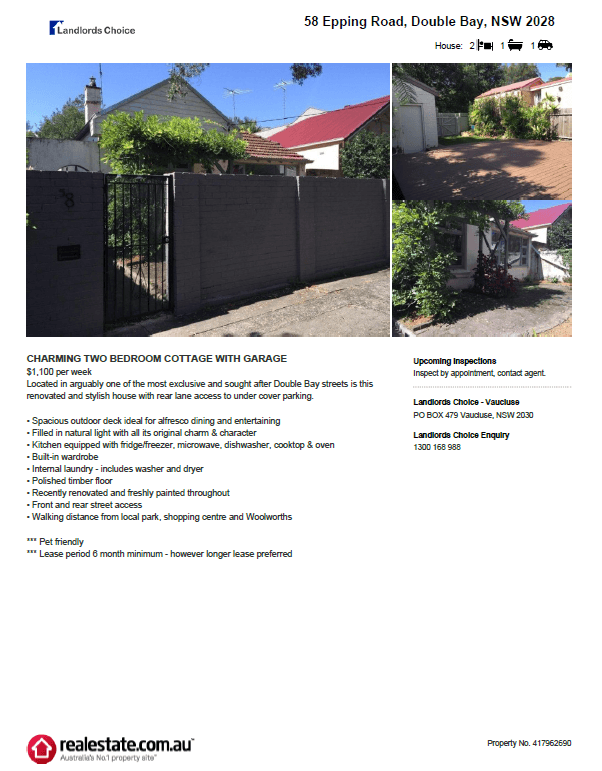 Pricing for this upgrade varies depending on the suburb, so please e-mail for a quote. Add prestige and prominence to your property with the highest priority positioning above all other ads, for increased exposure and superior brand awareness.